Apparently there are plans afoot to build the world’s tallest tower somewhere in Doha, according to the ever reliable Gulf News. This disappoints me. Qatar – as a whole – seems to have eschewed the worst Dubaian excesses of gaudy, puerile, envious games of one-upmanship. Here’s hoping this isn’t the harbinger of more hideous projects such as the Armani hotel in Dubai or the kitschest place on earth, the Burj Al Arab. 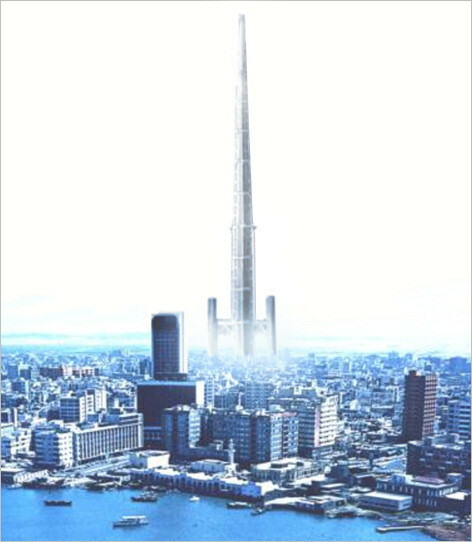 Plans are seemingly afoot to build a $26 billion mile-high sky-scraper perferator in Jeddah in Saudi Arabia. It will be something like twice as tall as the Burj Khalifah in Dubai which is already really rather tall. This is the latest installment in the perennial game of mine’s-bigger-than-yours that goes on in the Gulf, be it with buildings, car license plates, cities or attractions. This project will not go well and I would be surprised if it were built. Jeddah has suffered from devastating floods in recent years and I’d wager that its residents would far rather that its lake of human waste was properly dealt with than a staggeringly expensive substitute for someone’s masculinity was erected in the city. If this thing is built, it will soon become the symbol and very personification of the catastrophic waste and indulgence of Saudi Arabia’s elite. 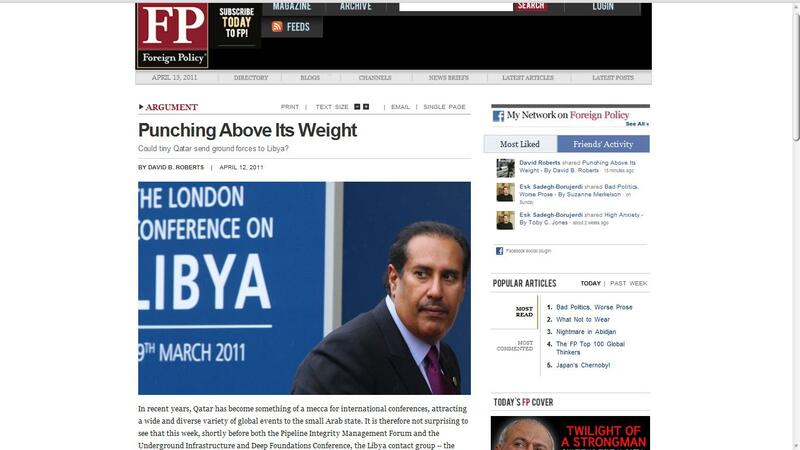 Posted by thegulfblog.com in Bahrain, Middle East. with the intention of undermining Bahrain’s military, political and economic status and harming the nation’s interests. In the past Kuwait has had reasonably good relations with Iran. Their Ambassador in Tehran even – shock, horror – suggested that the term Persian Gulf was more appropriate than Arabian Gulf. Yet the atmosphere in recent months has turned for the worse. It is difficult to work out the exact extent of Iran’s interference or spying on this side of the Gulf. 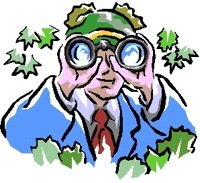 The default position of many in these parts seems to be an unequivocal “of course they are spying” without that much evidence. These trials may well be good examples of assorted Iranian perfidy but it’s difficult to tell. I think that the GCC States ought to have paid more attention to a fable about an annoying boy, his sheep and a wolf. 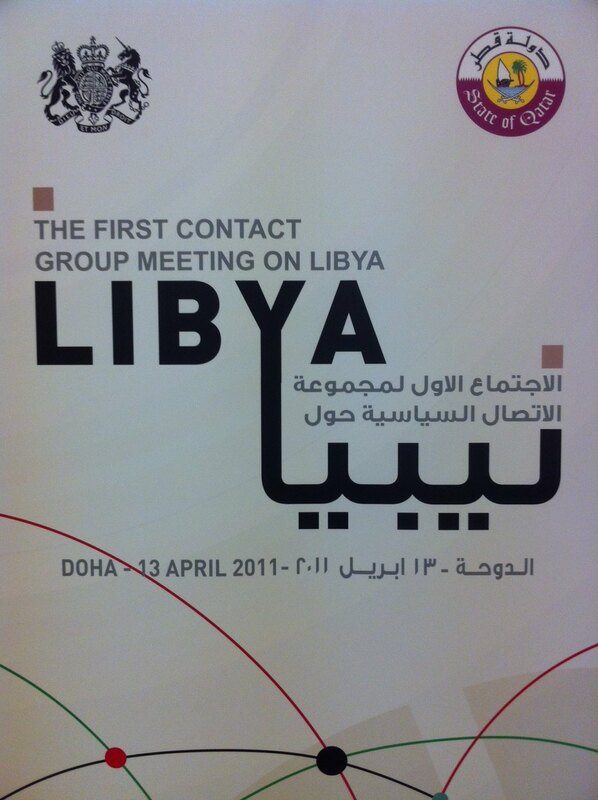 Could tiny Qatar send ground forces to Libya? And before anyone tries to sling me out of Qatar, can I point out that this is a mooting article; a thought piece. I’ve not been listening in at the windows of the Army HQ here. Honest. Posted by thegulfblog.com in Qatar, The Emirates. Still, I am sure that this guy feels hugely inadequate as compared to the Emirati who splashed the practically immoral sum of $14.3 million dollars for the licence plate ‘1’ in 2008. Born in an era when the German Mark was trading at over four trillion to the Dollar and the League of Nations still sought to regulate international alliances, Saudi Arabia’s King Abdullah, who has lived through the inauguration of fifteen US Presidents, is truly a man of a different age. Given what one might – rightly or wrongly – expect from a Saudi King who is nearly a nonagenarian, steeped in the austere, conservative Wahhabi culture of Saudi Arabia, some of his policies have been relatively enlightened. For example, he founded the King Abdullah University for Science and Technology (KAUST), which is a resolutely co-educational campus where Saudi’s feared mutaween (religious police) are not allowed to go, where women can drive and are not mandated to cover their hair. Yet one sphere in which Abdullah certainly is hawkish and conservative is that of Saudi foreign policy towards Iran. Here Abdullah appears to subscribe to the notion that Iran is perennially seeking to undermine Arab societies in some way, shape or form. Unprecedented in modern times, the Saudi Arabia-led intervention in Bahrain exemplifies this logic, with Bahrain seen as the front line of a cold but warming war which must be defended against Iran at all costs. Three primary currents of fear – noted in their order of their priority to the Saudi government – drove this extreme policy. Firstly, Riyadh fears that the establishment of any kind of meaningful Shia participation in Bahrain’s government – let alone a representative Shia Parliament – may allow, if not actively encourage, some kind of a militant Shia beach-head on Saudi Arabia’s doorstep. The notion that a Bahraini Hezbollah could emerge, or that some units of the Iranian Revolutionary Guard Corps (IRGC) could be covertly based in Bahrain, but a few kilometres from Saudi Arabia’s key oil fields, is immiscible to Saudi Arabia’s core security purview. Secondly, Abdullah does not want to see the installation of a Shia-led government in Bahrain at the expense of the Sunni Al Khalifah family’s power. Such an upheaval could be interpreted as the first step towards the emasculation of royal power in Bahrain, and Riyadh is loath to allow such a precedent to be set. Finally, Saudi Arabia wants to avoid the establishment of any kind of strong Shia-led government so close to its own Shia population, lest contagion spreads and they too begin to demand more rights. These events take place in the context of what many in the region see to be growing Shia power, as encapsulated by the notion of a Shia crescent ‘enveloping’ the region, as suggested by Jordan’s King Abdullah II in 2004. The recent expulsion of three Iranian diplomats from Kuwait convicted of spying for the IRGC  exacerbated tensions and further fostered notions of Shia encroachment. In many ways, this kind of vilification of Iran is exactly what Tehran wants. It strives to foster a reputation for itself as a mighty state with elite and highly capable armed forces, whose sole goal is to propagate the Revolution and the velayat-e faqih rule of law. Asymmetrically, Iran needs to be taken seriously: the Islamic movements that it spawned and still supports in the Levant are arguably as strong as they have ever been and contribute to Iran’s deterrence. Also, its IRGC irregular forces have been relatively well-funded when compared with its traditional armed forces, and it would be foolish to underestimate them. Nevertheless, this Iran – the Iran reliant on endless rhetorical bluster and a desperate showmanship striving to live up to several thousand years of a proud and strong civilisation whose key strengths today are, in fact, ambiguity and other asymmetries of power – bears little resemblance to the perfidious and powerful Iran as envisaged by some Gulf Arabs. Whatever the true extent of Iranian power and their actions on the Arab side of the Gulf, the simple fact is that Saudi Arabia acts as if their threat were compelling and imminent. This may have unforeseen implications for regional security. The Gulf Co-operation Council (GCC) met recently, and issued a joint statement in which Iran was accused of ‘blatantly … interfering in Kuwait’s affairs’ and of ‘continuous … interference in the domestic affairs of the GCC countries … and [instigating] sectarian sedition between … [GCC countries’] citizens.' This is unusually aggressive and inflammatory language from the GCC States and reflects the point of view of Kuwait, Saudi Arabia and the UAE more than Qatar or Oman. Though Doha and Muscat may well be as uneasy about Iran’s motives or actions in the Gulf as other GCC members, they deal with Tehran in a different way, taking, where possible, more conciliatory approaches. For Qatar, the fact that they share and jointly exploit the world’s biggest gas field with Iran plays a key role in this decision and Qatari authorities are understandably wary of antagonising Iran. Qatar and Oman will be under pressure to tow the GCC line, as they have in this instance. Saudi Arabia, the UAE and Kuwait will want a united GCC front against Iran. While these two states will follow this to some degree, it would require a full reappraisal of their foreign policy towards Iran if this trend of difficult relations between the GCC and Iran were to continue. They are thus left with some difficult decisions, which might give them no choice but to antagonise either their fellow Arab States or Iran.